Learn to fly with us. What kind of pilot do you want to be? Alkan Air flight training is pleased to join with Yukon College to offer a 2 year Aviation Management Diploma program right here the Yukon. Earn your Private Pilot License and Commercial Pilot License while developing practical business skills that will support your flying career. 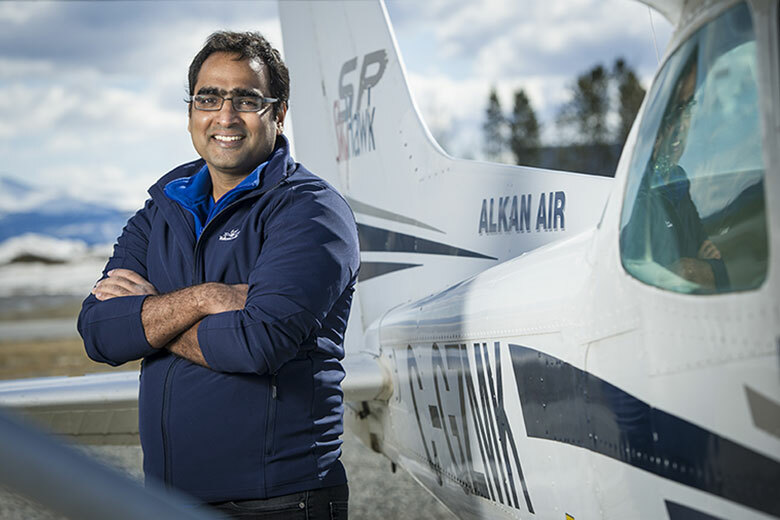 Alkan Air’s Flight Academy allows you to learn in a unique northern climate, while business courses at Yukon College can open up a world of opportunities in the aviation industry, and beyond. Alkan Air Flight Academy is a professional flight school located in Canada’s North. Our guiding principle is to inspire people to achieve excellence in their chosen path in aviation. We provide high quality aviation education for both recreational and career pilots supported by experienced staff and advanced equipment and facilities. Our school culture balances fun and adventure with professionalism and safety for a relaxed but effective learning environment. Our unique location enables students to experience many types of flying experiences to create well rounded and capable pilots.